I have been teaching all kinds of fitness since 1992. It all began after my youngest daughter was born and I was at a play group with other young moms. At the time, I was living in Taiwan and had many friends who, like me. were living there as ex-pats(foreigners working in a country outside their own). A Japanese mother asked me how I stayed managed to stay in shape and when I told her I just did exercise she then asked, ‘Why don’t you teach us what you know?” And that is exactly how I got started. For several years I taught a variety of fitness classes to people from all over the world. We returned to the States in 1997, where I began to teach all sorts of fitness including step aerobics, Spinning, aqua fitness etc. About two years later, I decided to exclusively teach Pilates and went into training. 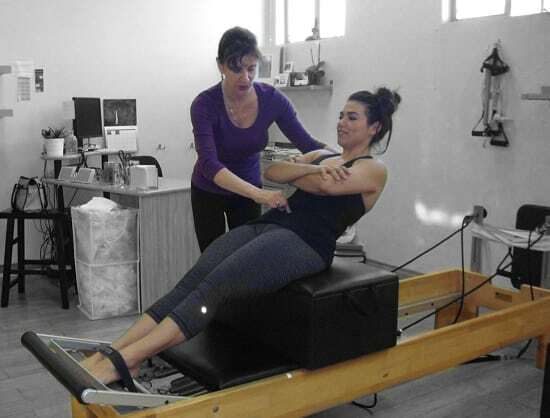 I felt that Pilates more than any other kind of fitness was beneficial to everyone. I also felt that I had been doing something sort of like it all along. So now it has been 26 years since I went to that fateful playgroup and was talked into to teaching exercise to the other ex-pat women in our group. Since that time I have learned that exercise is simply good for you in more than one way. The best thing to treat minor aches and pains, depression, sluggishness, weak muscles, tightness etc. is some sort of exercise program. Now it gets interesting. What is a good exercise program? The answer is: It depends. As a fitness professional who has worked with over 1000 people over the years, I get that question at least once a week. I have yet to change my answer. It depends. It depends on many factors such as your schedule, your current fitness level, where you live, your finances and most importantly, what you like to do. No matter where you live or how much disposable income you have, if you don’t like doing something you ain’t gonna keep doing it. As a Pilates instructor, I tend to get people who were turned off to exercise early on or never really enjoyed jumping out of bed and onto the treadmill at 5 am. Some tell me that they have never once in their lives had the urge to work-out. Yet they still came to me for Pilates thinking that maybe just maybe this will be something they would enjoy. Most of the time they do. The movement helps them to conquer chronic aches, pains and tightness while it does wonders for depression and anxiety. One client came to me about a year ago claiming that not only did she hate to exercise, but everything she tried made matters worse. Walking, stretching, weights, swimming – none of it helped. I told her if we could just get her to move more than before then she would probably feel a lot better. I kept her routine simple and manageable. I was right. She still hated to exercise, but at least she admitted that moving more made her feel a whole lot better. To conclude, it’s healthier to move than not to. For those who don’t bounce out of bed at 5 am for a 10 mile run followed by 90 minutes of hot yoga, try gentle stretches and a nice paced walk. Take the stairs. Park further away from the entrance. Find something you love doing, make it a part of your routine and just get moving.